I have three parrots, I have to move to another state. How can I carry parrots on Indian Railway? Note: "Indian Railways" I am asking about the procedure, what documents are required (I heard that I have to take a certificate from High Court), or something like that. And which type of cage or food is required, or else what I have to do ? A passenger traveling in First Air condition class or first class may take a dog into the compartment only with the concurrence of fellow passengers on payment of charges vide Clause(1) above. The charges are to be prepaid. If fellow passengers subsequently object to the dog remainig in the compartment, it will be removed to the Guard's van, no refund being given. Dogs detected unbooked with the passenger in IA and Ist class compartments will be charged six times the Luggage scale Rate subject to a minimum of Rs.50/-. A lady travelling alone with children under 12 years of age in a first class compartment may take with her in the compartment one dog on payment of charges at the Dog Box Rates,subject to a minimum of Rs.10/-provided that if another lady enters the compartment, the dog can only be allowed to remain in the compartment with her consent. Any dog detected unbooked will be charged at double the dog-box rate for the distance up to the point of detection and at the dog-box rate for the distance beyond the total charge being subject to a minimum of Rs.20/- for each dog. From how I interpret the bureaucratese in the rules, it would seem that birds cannot be carried by the passenger, but must be consigned as freight. This is based on the fact that there is a separate section for the carriage of dogs in train compartments, but not other animals are mentioned. It is safe to assume that you have to make your own arrangements for food and water. In the case of caged birds I assume that leaving a sufficient supply of either in the cage should be enough. One extra measure you can take is to cover the cage with a dark cloth so that the birds think it's night, and don't get too stressed. Avoidance of cruelty to animals and birds.�The minimum dimensions of cages, baskets or hampers and the number of live poultry which can be packed in them are laid down in the I. R. C. A. Coaching Tariff. These instructions should be strictly observed. Receptacles of a smaller size or those containing a large number of birds should not be accepted for booking under any circumstances. Similarly, the number of animals loaded in a vehicle/wagon should not exceed the permissible limits to avoid overcrowding and restiveness to animals. Recording of actual number of animals, birds and poultry.�Animals or birds chargeable at other than parcel rates should be counted at the time of booking and their number recorded in the way-bill, both in words and figures. In the case of poultry and other small animals or birds in brackets chargeable at parcel rates, a 'said to contain' railway receipt will be issued when the number is not easily countable. In the case of valuable poultry, on which the sender has engaged to pay the percentage charge on the excess value, a declaration with regard to the number of birds despatched in each cage or crate and their value must be obtained on the forwarding note. Prepayment of freight and insurance charges is compulsory. Labels for dogs, animals and birds.�Labels in Form Com./L-3 Rev. showing the number and date of way-bill, station from and to, the name and address of the consignor and consignee, and the route by which dogs, animals or birds have been booked, should be tied to the collar of every dog or animal booked in brake van, and to the cages or baskets containing small animals and birds. Once again, I found no mention of parrots in all of the official documents I found on the web. There's of course a chance that this information might not be readily available on-line. Hence I suggest you physically contact Indian Railways by going to your nearest train station and asking to speak with the Station Master. 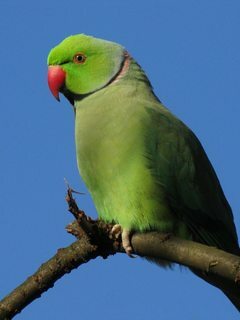 On a different note, I did find a WWF India blog entry discussing illegal parrot trade in India. The article says that any caged parrot is sourced from illegal trade, since native wildlife is protected. I don't know, and don't have the time to research, if this is true. For the purpose of this answer I'm assuming that your parrots are not illegal in any way. "Yes Parrots are Banned in Indian Railways"
On asking to officials they replied that carrying parrots are illegal in Indian trains, So you can't carry parrots in Indian Railways. It's illegal to carry birds of indian origin... Such as green parrots.. but parrots which are not indian and those from other country birds can carry with proper safety in Indian Railways. Green parrots such as Ringneck are treated as wild not domestic bird. Not the answer you're looking for? Browse other questions tagged trains luggage india indian-railways pets or ask your own question.